will be available Spring 2019. Wisconsin's smallest communities have remarkable stories. 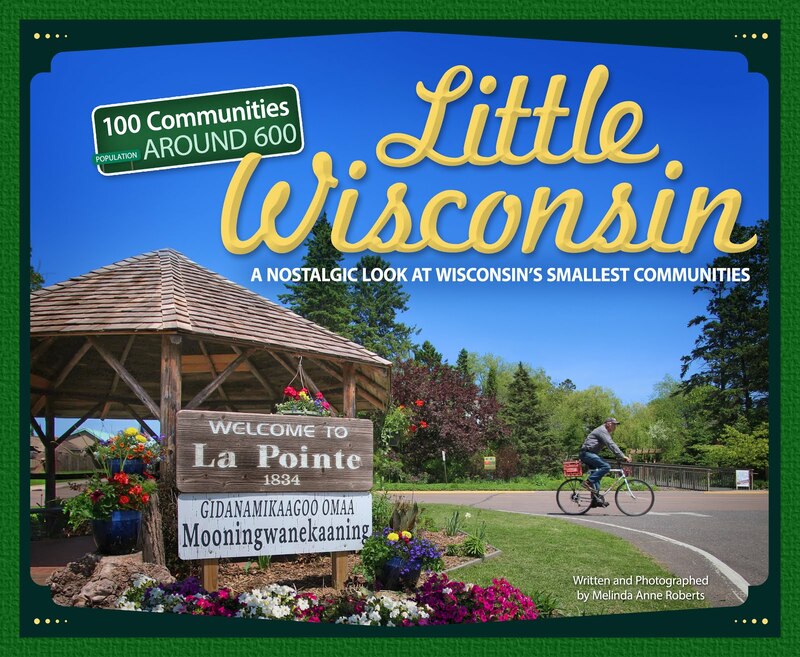 Little Wisconsin introduces 100 communities with populations around 600 or less. From the Native Americans who have been here for centuries, to the arrival of French emissary Jean Nicolet in 1634; through the fur-trading, logging, mining and agricultural transitions and the arrival of European immigrant and Yankee pioneer settlers, Wisconsin's history is compelling, intriguing, and unique. 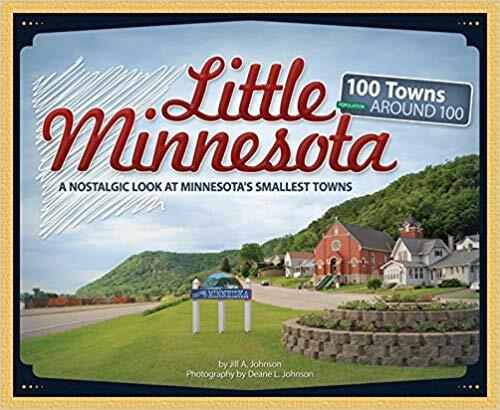 With full-color photographs taken by author Melinda Anne Roberts, fun and fascinating facts, an intimate look at the people and events that define every community, and a summary of what you can see and do there today, you'll be inspired to pack your bags and head out for a visit! Wisconsin's little communities have loads of surprises. A shoot-out between John Dillinger and the FBI occurred in Manitowish Waters. Poplar is home to America's World War II "Ace of Aces" and Metal of Honor recipient, Richard I. Bong; Korean War Medal of Honor recipient Mitchell Red Cloud is from Komensky. Fiberglass Larry the Logroller has stood sentinel in Wabeno for decades -- except for that time he lost his head in a tree-pruning accident. A widow in Boyd ran a unheard-of personal ad in 1903 and received 1,406 marriage proposals! In Little Wisconsin you will find the "Apple Capital of Wisconsin", the "Blue Gill Capital of Wisconsin", the "Sturgeon Center of the World™", and how Wisconsin got nicknamed the "Badger State". The locations featured in Little Wisconsin wonderfully represent the breadth and depth of Wisconsin's Native American, European immigrant, and Yankee influences on what has become “America’s Dairyland”. Little Wisconsin is not only for Wisconsinites proud of their state and heritage, but is for anyone interested in history, especially the history of “The Heartland” – where honesty, hard work, and community values are what built and continue to sustain these rustic, rural little communities. It's one book with one hundred places to love.